Fresh pasta can be made with or without eggs. 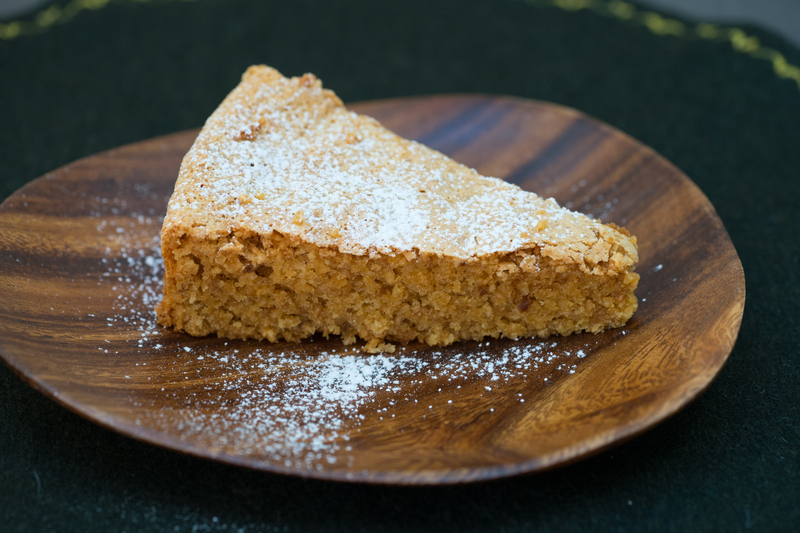 This recipe is for without eggs. 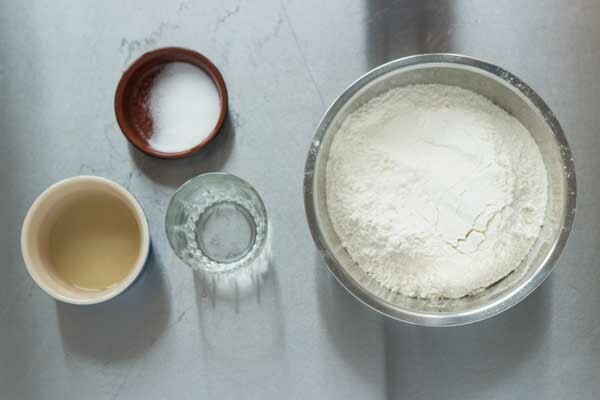 On a work surface or in a bowl place the flour and salt and add the white wine in the centre. 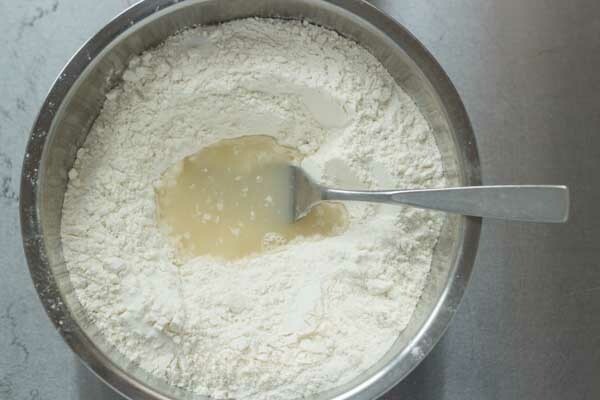 Toss the flour with a fork until the liquid is incorporated. 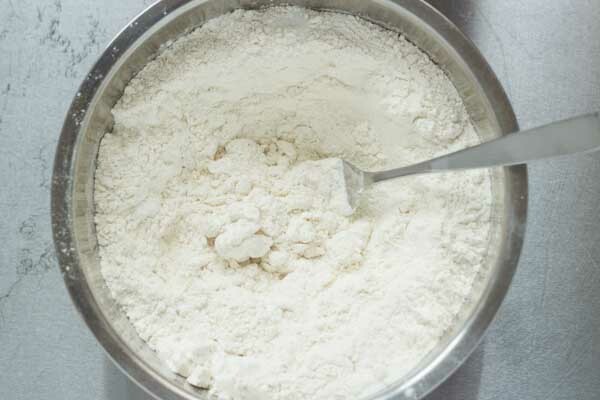 Add 160 mls of water incorporating it into the flour until there are no dry parts left. Add up to another 20 mls of water if the dough is still dry. When the dough becomes too difficult to stir with the fork, use your hands. Be careful not to add too much water. The dough should not be sticky and should be quite stiff. 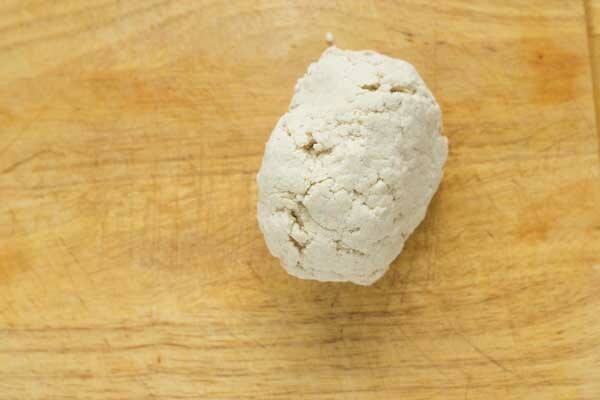 The dough will absorb the water as it is worked and will soften. Knead the dough for 15 minutes. Seriously. This will make your pasta elastic and will make rolling it much easier. 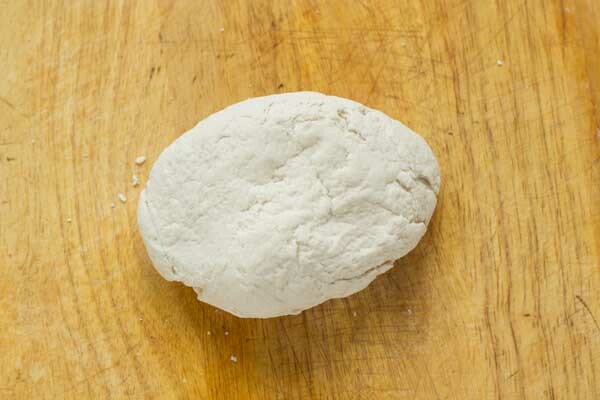 If the dough is sticking then add more flour. If it is stilll not coming together and has dry parts then sprinkle a bit of water on it. Wet a kitchen towel and wring it out as much as possible. Place the towel over the pasta or wrap it in cling film and let it rest for 30 minutes. Set up your pasta machine. 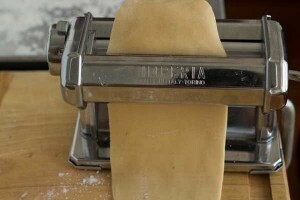 For an illustrated step-by-step guide on how to roll pasta click here. Cut the pasta into four equal pieces and keep three of the pieces wrapped in cling film. 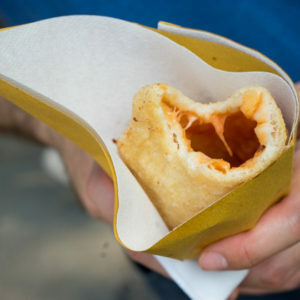 Take one of the pieces and roll the pasta through the widest setting. Fold the pasta into thirds, turn 90 degrees, and roll it again through the widest setting. Turn the pasta machine setting down one more to the next setting and repeat three more times. Cut the pasta in half and roll it through the next setting twice without folding it over. Keep the pasta you are not working with on a lightly floured work surface so it doesn't stick with a damp towel over it so it doesn't dry out. Repeat with the other half. Keep repeating until you have rolled both sheets through the setting required in the recipe. Ensure that you keep the pasta sheets you are not currently working with under a damp towel and on a lightly floured surface. 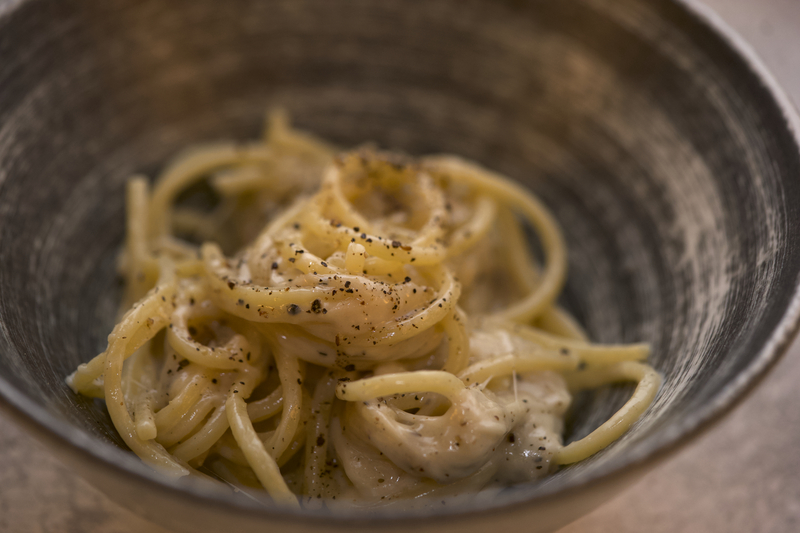 Pasta is best made using a wooden surface. If this is not possible, place a piece of linen over the work surface and clip it to the table.